Big Guys is now available on Itunes. *4 Different worlds with different environments that affect the game. *21 Levels to play through. *Over 20 Characters to play. *Easy to pickup and fun to play. 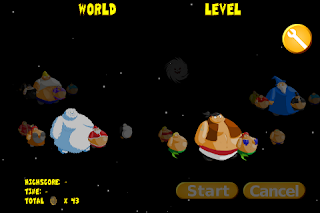 Big Guys is a fun game (its about the only thing I've been playing for 6 months) where the goal is to navigate around the levels and collect stars so you can escape the planet and go fight the Black hole that's about to consume the galaxy. 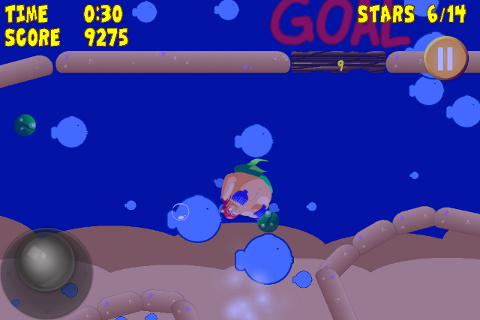 It's a physics based game and objects like green marbles,bubbles,star bubbles and platforms are constantly moving. 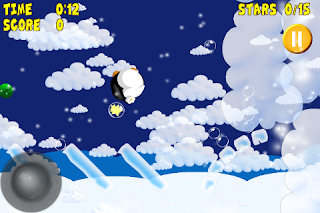 Wind will blow you and other objects around the levels, and there's also some bouncers to send you flying back. The water world contains fish that will chase after you and get in your way. The wind in the snow world is constantly changing. The Destruction world is falling apart so you'll have to watch out for falling objects. In space you'll need to find a way to escape the Black hole and then find a way to fight him. To gain a medal you must finish a level. For 2 medals you need to finish a level, and either collect all the stars within the level or finish the level quickly. For 3 medals you'll need to finish the level with all the stars and get to the end quickly. You'll need to collect at least 40 medals to face the Black hole. Big Guys was created by me using Tier 1 in The App Game Kit made by The Game Creators. Graphics where created using Sketchpad on the Ipad, Gimp and a little Blender. Music and sound effects were purchased from the gamecreators store.